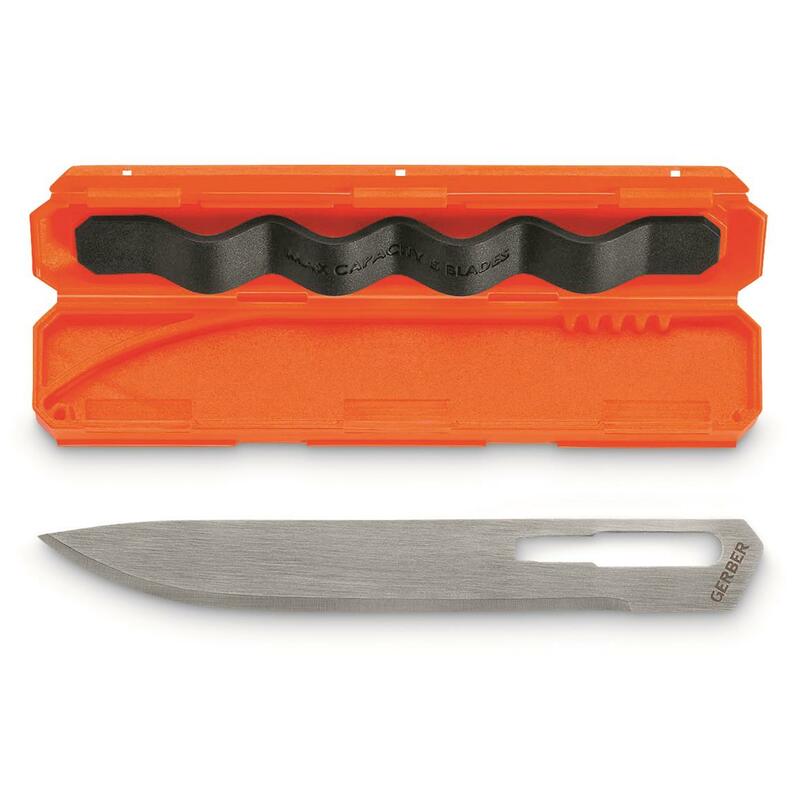 The same "Vital" surgical sharpness seen in other replaceable blade folding knives, here in extra-large dimensions for making faster, easier-to-control cuts in big game carcasses. Split Sec TechTM allows super-safe, completely tool-free replacement with just the push of a button. These are replacement blades for the Gerber® Vital Big Game Folding Knife. 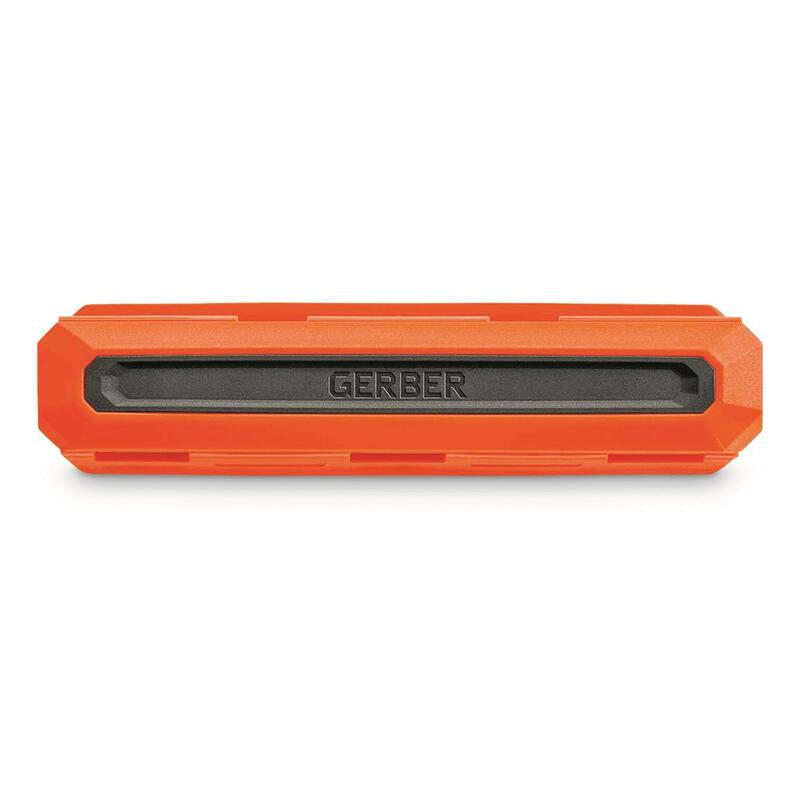 Included Case is super-stealthy, with a rubber noise dampener for quiet use in the field. 2 compartments keep new and used blades separated.